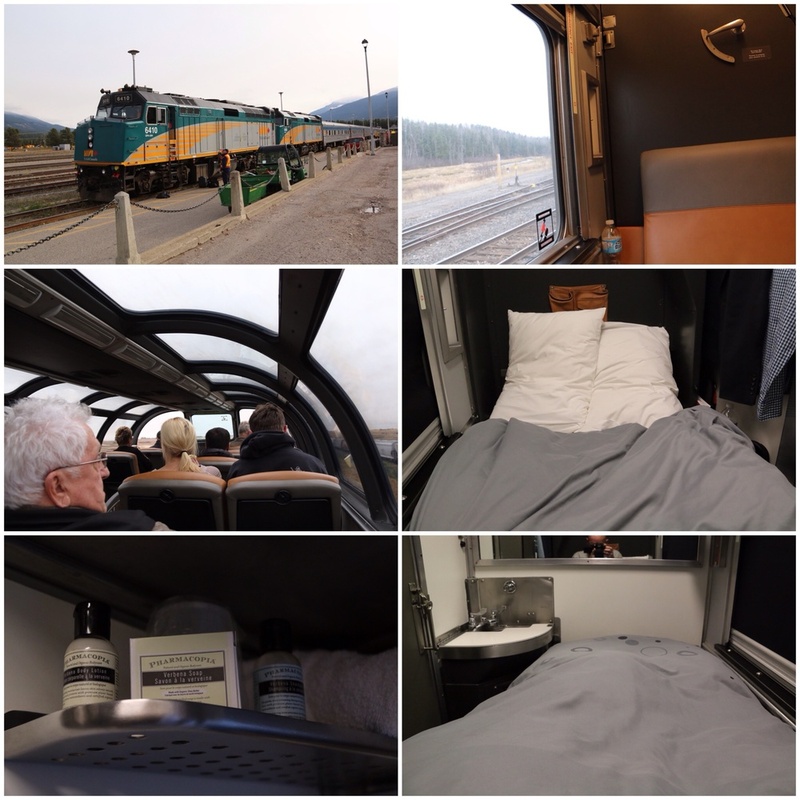 I've just arrived in Toronto after 3 days on The Canadian and, needless to say, there is too much to tell in detail in one post and way too many photos to show. So I'll try to summarise some aspects of the journey and I've created some montages of photos to give a feel of the images. If I get time I might post some full resolution images later. I spent most of the days in my compartment glued to the window with camera in hand. I could have sat in the dome carriage for a while; it might have afforded a better view at times but I'm sure I would have driven the people around me crazy with the incessant shutter click of my camera. Each time I began to get a bit tired or assumed that the scenery was becoming "more of the same" I would cap the lens and switch off the camera only for a brand new surprise to appear around the corner; so un-cap the lens, switch on and off we go again! When I made it up to the dome carriage on the second day it was good, but wasn't really that much better for my photos; I didn't stay there long. In many ways the view from Vancouver to the Rockies was familiar from the landscape I had seen in Stanley Park and across the bay. There was dense forest interspersed with evidence of logging, streams, rivers and lakes in a reasonably hilly terrain. The sight of the first snow capped peak was very exciting. The largest, Mount Robson, came into view shortly after lunch on the first day so I hung around in the dining car for a bit longer to get a better view and some good pictures. Overall, I had expected the train track to wind more tightly between the mountains as Emily and I had experienced in the Swiss Alps. Maybe one of the trains dedicated to viewing the Rockies takes a different route? Still, they were majestic and impressive. I can begin to imagine what they must look like in the thick of winter. 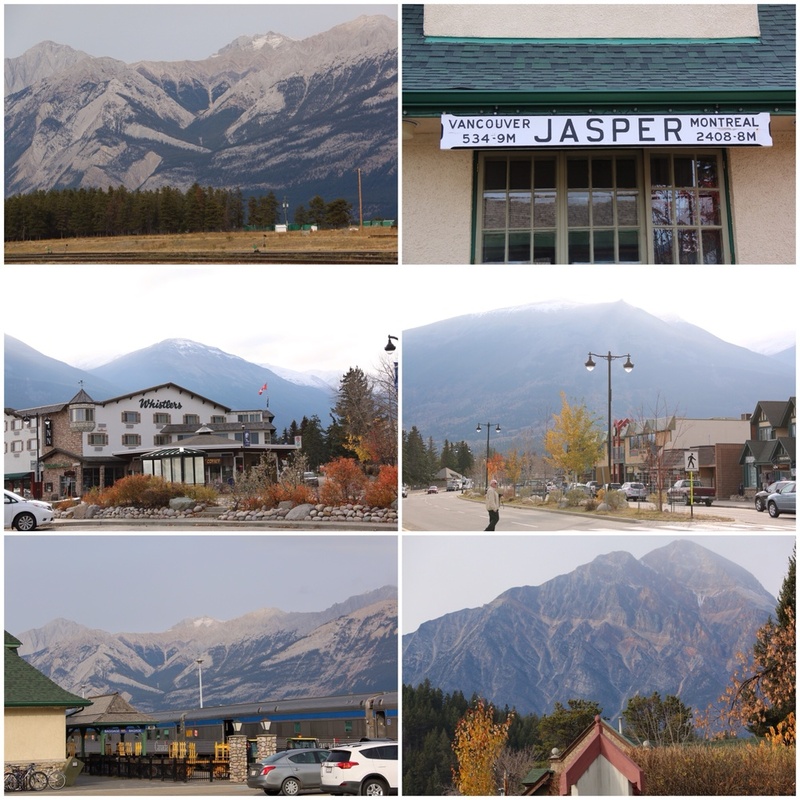 In the middle of the Rockies is a little town called Jasper. I believe it's a big place for winter sports. When we got there it seemed quite sleepy. We stopped for an hour and could get out for a stroll. No matter which direction you look the buildings of the town are framed by these massive mountains in the distance. After going to sleep with the mountainous Rockies and beyond still firmly in my mind it was quite a shock to open the blind on the morning of the second day. Mountain had given way to wide expanses of yellow and gold. At first, in the early morning half light, it looked like sand; almost desert. But soon I realised most of it was harvested crop land. The evidence was dotted here and there in round bales. What amazed me was just how far this land stretched. It seemed endless and we continued to pass these fields for at least half of the day. After consulting my map and timetable I realised we had passed through Saskatoon in the early morning. Aside from the memorable name, the place has significance for me as my first real professional mentor came from there. I wondered what she is doing these days. In the afternoon the flat crop lands slowly began to give way to a gentle undulating landscape that became less cultivated. I suspect these may be part of the prairies I've heard about. Towards the end of the day we reached a depression that must have been the flood plain for a river still meandering lazily through the middle. The third morning revealed yet another landscape. 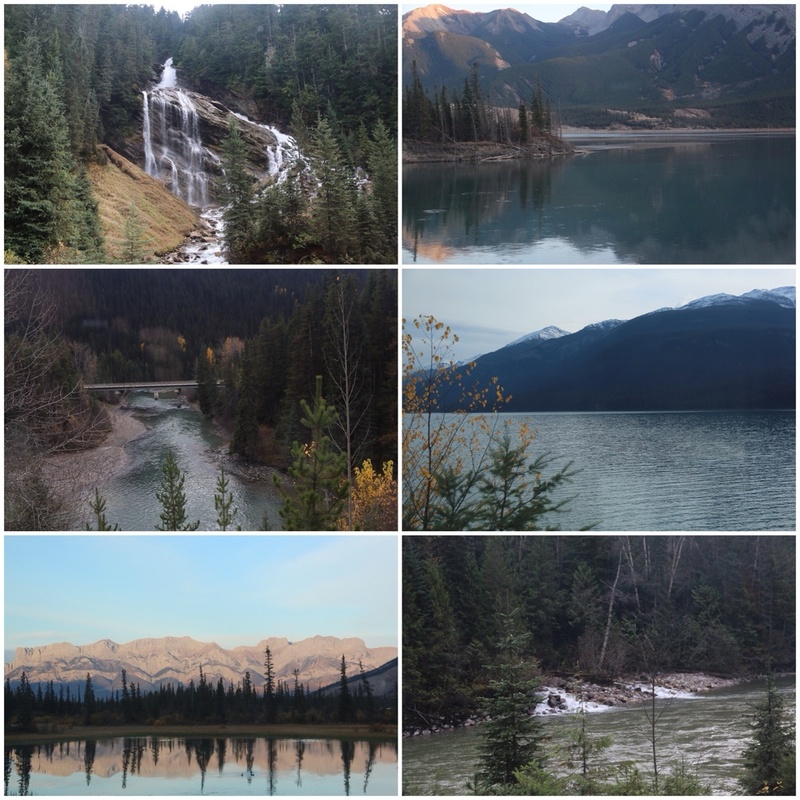 It was similar to the pine forests, rivers and lakes in British Columbia, but without the mountains. And here there were many more rivers and lakes. The skies were overcast all day so getting bright pictures was a challenge. As we travelled east the evergreen pines were increasingly interspersed with golden leaved trees. Although there was an increase in golden leaves towards the end of the third day, I still hadn't seen the rich mixture of autumn tones I had been hoping for. When daylight came on the final morning I finally got my wish. 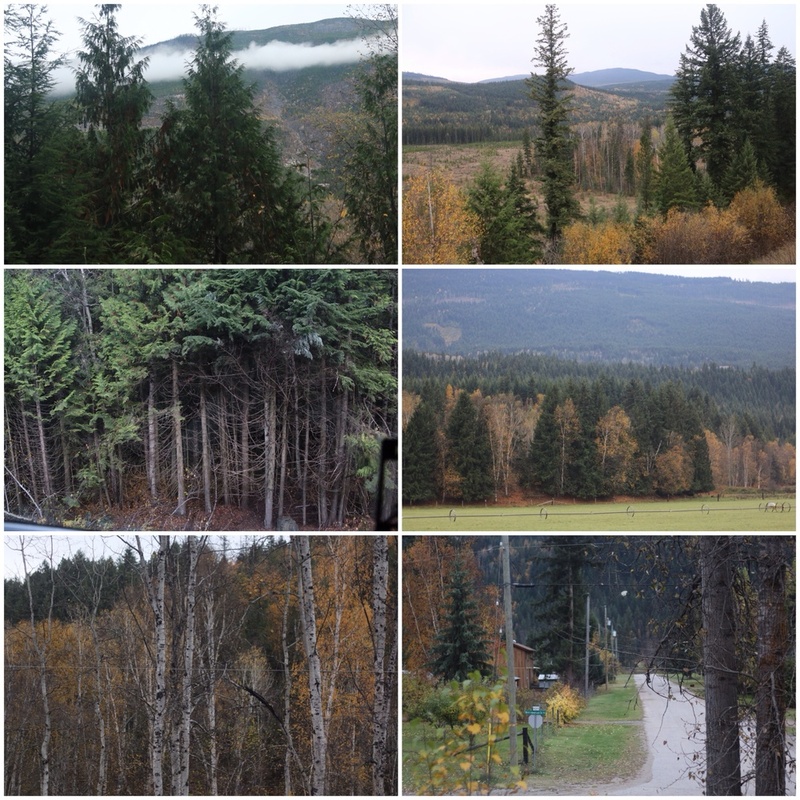 Unfortunately, we passed some of the most stunning combinations of autumn leaves, streams and forests while it was still only half light and I struggled to get clear images. But by the time we were about an hour out of Toronto they were everywhere and I had enough light for photos. Throughout the journey there were numerous streams, rivers and lakes. Many of the rivers in the west appeared to be flowing quite rapidly and the lakes were a beautiful deep blue. Against the mountain and forest backdrop they were postcard perfect. During the trip we had a few encounters with wildlife. First was a report of a moose on the left hand side of the train. I didn't make it there quickly enough to see it. Next was a black bear which I did photo but you can bear-ly make him out. The main encounter was a group of elk by the tracks shortly after leaving Jasper. And on the plains and prairies there were masses of what I think were geese, either in flight or preparing to take off. On my side of the train I didn't see a lot of buildings. 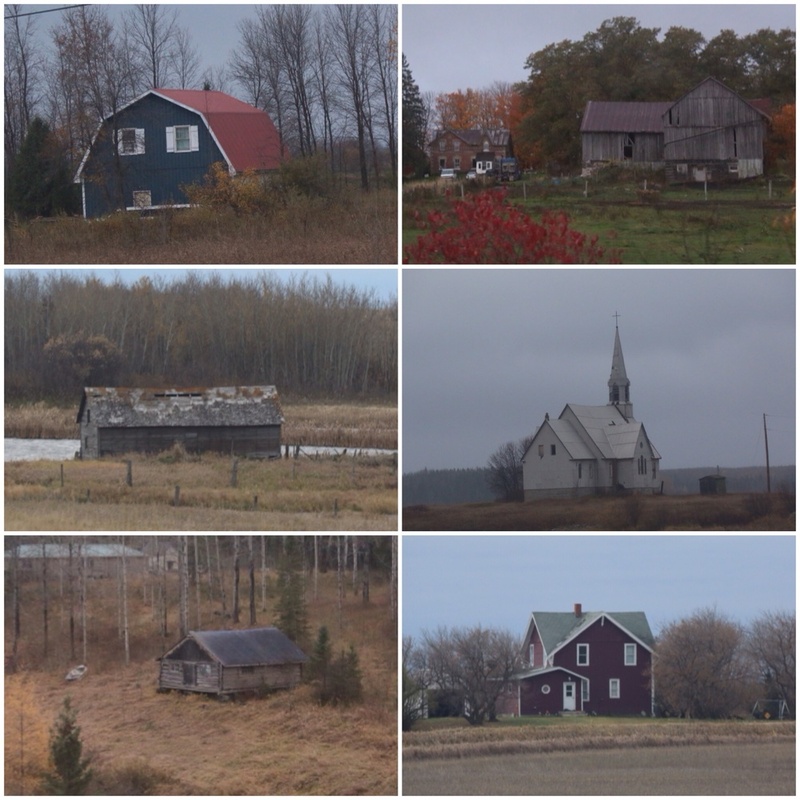 But I noticed a few farm houses, barns and churches; some in use and some abandoned. The train itself was long; neatly divided between the coach class at the front and sleeper class at the back. I had a single cabin which provided both a place where I could click my camera without fear of annoying anyone during the day, and sleep (of sorts) at night. The bed folded down to make a cosy retreat. I didn't sleep at all well the first night. But by the end I managed to sleep though a kind of solid yet broken sleep. It surprised me how often we had to stop to let freight trains pass. Sometimes the stop provided an opportunity for some detailed photos or a respite from the rocking. The further east we got, the bumpier the ride seemed to get. But I think part of that was an increase in speed to make up time we had lost over freight train stops earlier in the trip. Meal times on the train were a great interlude. Not only was the food and service great, it was an opportunity to socialise. Each time I found myself seated with 3 other people. And for most meals I hadn't met at least one of them before. I really enjoyed speaking with people from different places and backgrounds. Which just leaves the people. I didn't know quite what to expect on a train journey like this. There was the predictable number of retired folk who can afford the time to travel more casually, but there were almost as many younger people too. I reckon I was probably in the middle of the age extremes. And everyone was friendly and willing to strike up a conversation. Although I mainly kept to myself I still managed to meet some really lovely people.